Wielding a charge that's been largely refuted, Sen. Rand Paul, R-Ky., over the weekend took a swipe at his fellow Republican, Arizona Sen. John McCain, for his clandestine meeting last week with Syrian rebels. 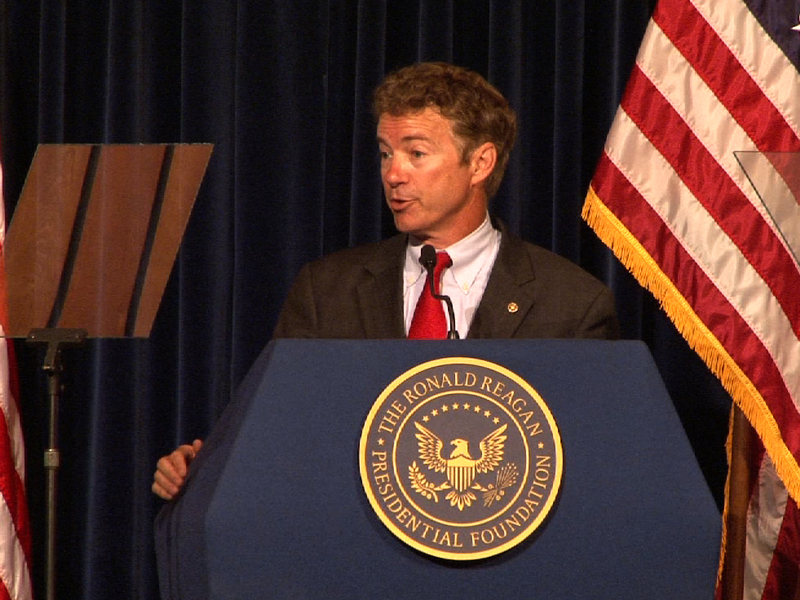 "I'm very worried about getting involved in a new war in Syria," Paul said Saturday night while taking questions at the Reagan Library in Simi Valley, Calif. Syrian President Bashar al-Assad is "a bad guy - he is," the Kentucky senator continued, but cited al Qaeda and additional extremist groups "on the other side" as a reason to give the United States pause before engaging militarily. "They say, 'there are some pro-Western people, and we're going to vet them,'" Paul continued. "Well, apparently we had a senator over there who had his picture taken with some kidnappers, so I don't know how good a job we're doing vetting those who are going to get the arms." McCain last weekend secretly visited the war-torn country to meet with some of the rebel forces taking on Assad. A pro-Hezbollah TV station alleged two men with whom he was photographed on the trip were once involved in kidnapping Lebanese Shiite pilgrims, but according to the Daily Beast, that report was disproven by two NGO workers who were on the scene. During an appearance Sunday on CBS' "Face the Nation," McCain said what's unfolding in Syria is "unfortunately a battlefield situation where [President] Bashar Assad now has the upper hand - and it's tragic - while we sit by and watch." He stepped up pressure on President Obama to provide the rebels with arms, arguing they're "not al Qaeda; they are not extremists."